For a network with a history of callous exploitation, TLC’s new show captures genuine heartbreak, and does so with (relative) maturity. 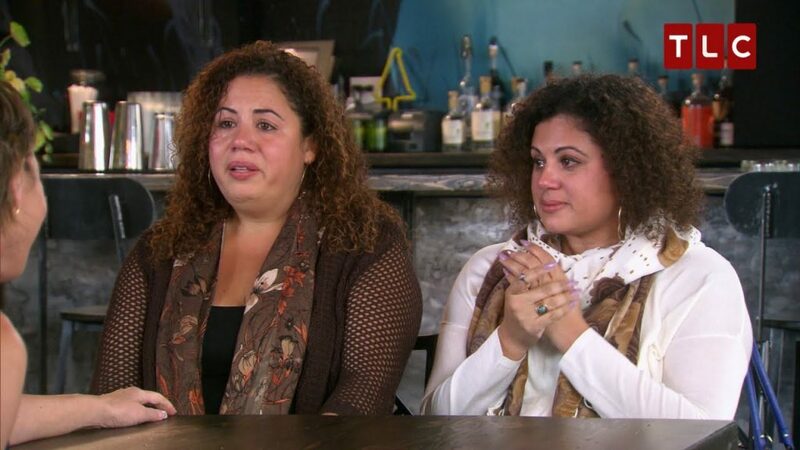 Grab a box of tissues and prepare to suddenly question whether or not you were adopted” the new, tearjerking TLC show “Long Lost Family” will warm your heart in a way that has been seriously lacking on a network better known for oddities and exploitations. “Long Lost Family” premiered its first season on TLC in March 2016, and follows American hosts Chris Jacobs and Lisa Joyner as they help biological parents and adopted children of all ages reconnect with or finally meet their biological family. Both Jacobs and Joyner themselves were adopted from a very young age and went on personal journeys of their own to discover their biological roots, which has allowed them to create deeper relationships with the subjects of each episode and provide comfort in a way that only those faced with that kind of situation would be able to. One of the main facets of the show is that it primarily uses its co-sponsor, genealogical database ancestry.com, to track down these long lost family members and show off the extent to which you can stalk your distant relatives if you purchase a subscription. I’ll admit it though, it’s entirely convincing. The show had me wondering what secrets my own family tree might hold, or if there’s any chance I might actually be related to Bill Gates or Queen Elizabeth II. It does make the search process seem just a bit easier than it probably is in reality, but it still does a great job of demonstrating just how useful and even life-changing these online genealogical databases can be. “Long Lost Family” was actually inspired by a nearly identical British series with the same name that has been on the air since 2011, and also has an Australian counterpart that premiered only ten days after the U.S. version. Only time will tell if this show will take the route of the American version of “The Office” and soar to a much higher popularity than its British predecessor, but apparently one of its key differences is that while the Brits respectfully choose not to televise the moment they reveal that a person’s family member is deceased, the Americans film and broadcast it without batting an eyelash. That’s ’cause here in ’Merica, if it ain’t crude and incredibly invasive, it ain’t good television! But in all seriousness, “Long Lost Family” takes a much different, more refreshing route than many of the other shows for which TLC is well-known. Rather than going down the path of “Here Comes Honey Boo Boo” or “Sister Wives,” which shamelessly exploit their subjects for their peculiarities, “Long Lost Family” has actual heart that is such a rarity on today’s reality circuit. You can tell by the tears and genuine displays of emotion from these people that this show means so much more to them than just a paycheck or ticket to fame. Watching a mother and father meet their biological son, whom they gave up for adoption when they were teenagers, and simultaneously find out that they’re grandparents, had my roommates and I all audibly sniffling and blinking back real tears. The reunions are just so joyful, loving and charged with emotional energy that you can’t help but feel like you’re right there with them, sharing in their victory. Watching this show also allowed me to put my own life and family history into perspective. While I was raised by my biological parents, it made me wonder about my adopted great-grandmother and where her biological family could’ve been from, and sparked some interesting conversation between my roommates and I about the nuances within our families. It was incredibly interesting to hear people on the show talk about how they had always felt like there was something missing from their lives, without the presence or even knowledge of long lost members of their family, which is something I realized I had never felt before. It definitely gave me some fresh perspective and made me so grateful for the family that I have. While the first season of “Long Lost Family” finished up back in April, TLC recently announced that it would be renewed for a season two. So stock up on those tissues, grab some pints of ice cream and a bottle of wine, and prepare to be completely distracted from all of your coursework as you get sucked into another family’s heart-wrenchingly real story of loss, hope and discovery.